Set of 6 prints of Korean embroidery works by contemporary female artists on traditional hanji paper. 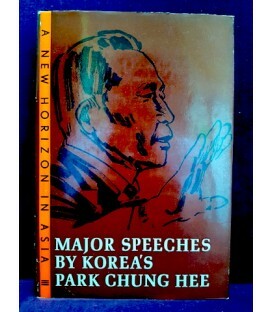 Major Speeches by Park Chung Hee, compiled by Shin Bum Shik. 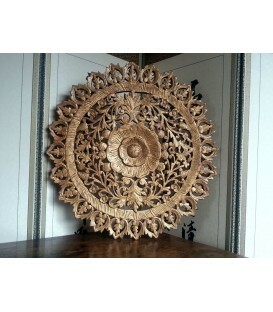 Richly carved wooden disc from Thailand embellished with gold paint. Dimensions: diameter 50cm (19.5"). All measurements are approximate.e.